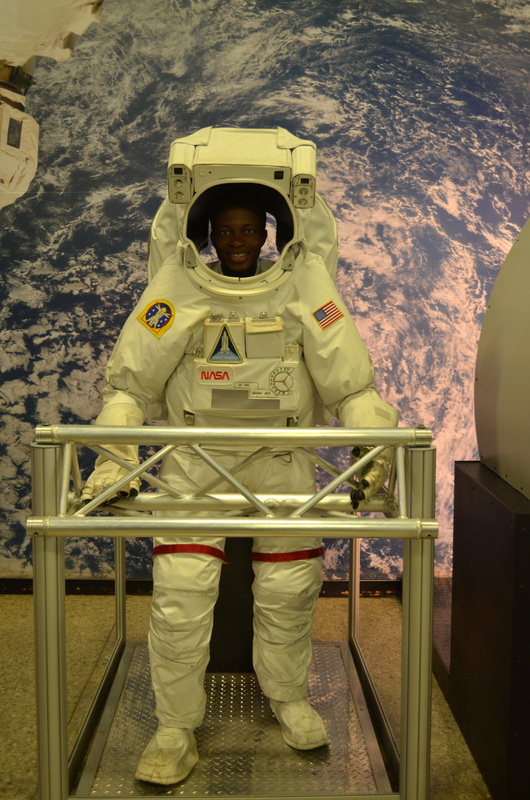 Richard Komlan Folly at NASA Marshall Space Flight Center during 2017 Mandela Washington Fellowship. Photo credit: Paula Link, NASA SERVIR GLOBAL. Richard Komlan Folly is a Data Scientist focused on Remote Sensing and Geographic Information System (GIS). He founded the African Geospatial-Intelligence Agency (AGIA) an aerospace research and development company focused on developing geospatial and space technologies for meeting the SDGs in Africa. 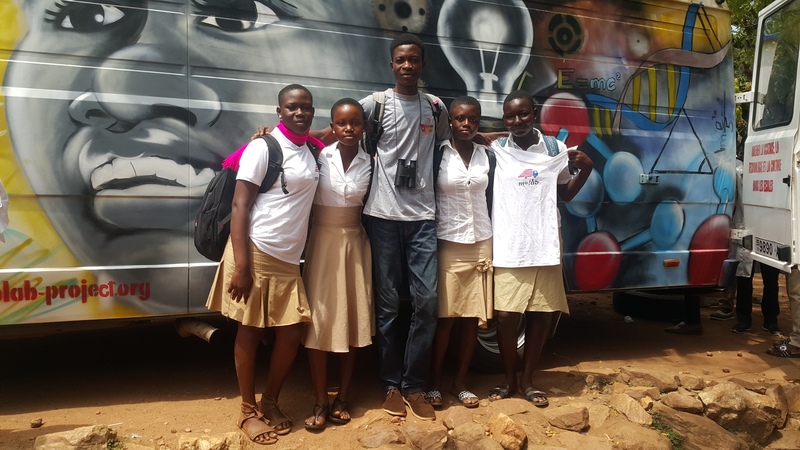 Tech enthusiast and entrepreneur, Komlan was on free consultancy as Technology Trainer for the U.S. Embassy in Togo training young girls on computer programming and journalists on data journalism. He was GIS and Communications Consultant at the Ministry of Posts and Digital Economy of the Togolese Government. He worked up the career ladder to become a consultant on an Early Warning System (EWS) development for hydrological, rainfall and climatological data collection and analysis, an Automated SMS System that can feed crowd-sourced flood data into a self-learning, algorithmically-based forecast model (FUNES), for the Togolese Red Cross in collaboration with the Global Facility for Disaster Reduction and Recovery (GFDRR) of the World Bank and experts from the Red Cross & Red Crescent Climate Centre. Following his passion for STEAM, knowledge and experience sharing, Komlan devoted part of his time to continuously train hundreds of students on planetary sciences and geospatial technology, inspiring young people across the whole country, as he is part of the managing team of MoLab – a mobile science and technology laboratory project developed by the U.S. Embassy in Togo. In 2017, Komlan was selected as a Mandela Washington Fellow by the U.S. Department of State where he spent six weeks at the Arizona State University studying Public Management. 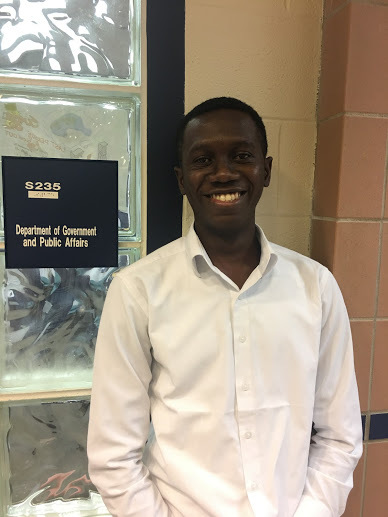 He also had a Professional Development Experience (PDE) at the NASA Marshall Space Flight Center’s SERVIR and Short-term Prediction Research and Transition (SPoRT) Center in Alabama, United States as a component of the Mandela Washington Fellowship experience. Komlan is showing grit in leading the African Geospatial-Intelligence Agency (AGIA) in Togo – a nation with a non-existent space program and support system. Komlan believes that the AGIA will grow in the near future with a capacity to launch a satellite and pioneer Togolese space sector. In this interview edition, Komlan shares his professional experience and recommendation for the Togolese government. What’s your academic background and how did it influence your career goals? Before writing computer code, I wrote poems. I studied literature in high school. When I entered university, I chose to study geography and have completed my bachelor’s degree, against the expectations of my teachers and classmates who thought I was going to study history. I knew what I wanted to do. Then I discovered my passion for computer science. This transversal and multidisciplinary background, just like the geography itself as the crossroads of all sciences, has allowed me to grasp and to be exposed to the power of diversity. It also allowed me to reinforce my need to be different. It makes me feel like writing poems on space using computer skills. It can be challenging for a young graduate to kick-off an early career in a highly technical field such as Remote Sensing and GIS. What is your career journey so far and how did you overcome the entry-level career challenges? When you know what you want, and too confident to follow your passion, all challenges become opportunities. It is true that at the university I learnt the theoretical introduction of Remote Sensing and GIS. Just on paper; no GPS nor computers, no software. So I have decided to shift from the theory to the practice. I learned by myself on the Internet – and God bless the guys who created the Internet. Thanks to them, we are living in the most exciting period in history where knowledge is no more a secret reserved for a few high ranked individuals. I also participated in technology workshops and bootcamps. It was the right decision and I am excited I chose the career path. I was thrilled as an undergraduate student to take up a part-time routine of teaching PhD students and professors of the university how to use mapping and GIS software. From that experience, I understood that I was in the right way, and have to go far than I was. Later I was solicited by the U.S. Embassy in Togo to train young girls and journalists on coding and data journalism respectively, as well as activists on crowdfunding. I was then GIS and Communications Consultant at the Ministry of Posts and Digital Economy of the Togolese Government. I moved up to work with a group of friends as a consultant on an Early Warning System (EWS) development for hydrological, rainfall and climatological data collection and analysis, an Automated SMS System that can feed crowd-sourced flood data into a self-learning, algorithmically-based forecast model (FUNES), for the Togolese Red Cross in collaboration with the Global Facility for Disaster Reduction and Recovery (GFDRR) of the World Bank and experts from the Red Cross Red Crescent Climate Centre. This experience taught me a lot on computer based-projects management and had helped me jump into the collaboration sphere with international organizations. There is a dearth of technical resources for Remote Sensing, GIS and space-related field in underdeveloped countries. The situation is likely worst in Togo where space programs do not exist and academic institutions do not have the capacity to take on such research. How did you acquire the relevant skills and exposure in the industry? When I was a younger boy I had a dream: I was in a spaceship that landed on the Moon. Today all I can remember from that dream is the big jolt and my joy to have been to such altitude. It was the starting point. Then I read a lot on geospatial and space technology and all the exciting adventures out there. I fail in love with satellites and rockets, NASA, the ISS and SpaceX. I have deep admiration for space heroes including Neil Alden Armstrong, Yuri Gagarin, John Glenn, Elon Musk. I particularly admired Elon’s ambition with SpaceX of making mankind a multi-planetary specie. It made me understand that there is no limit to what one can accomplish. 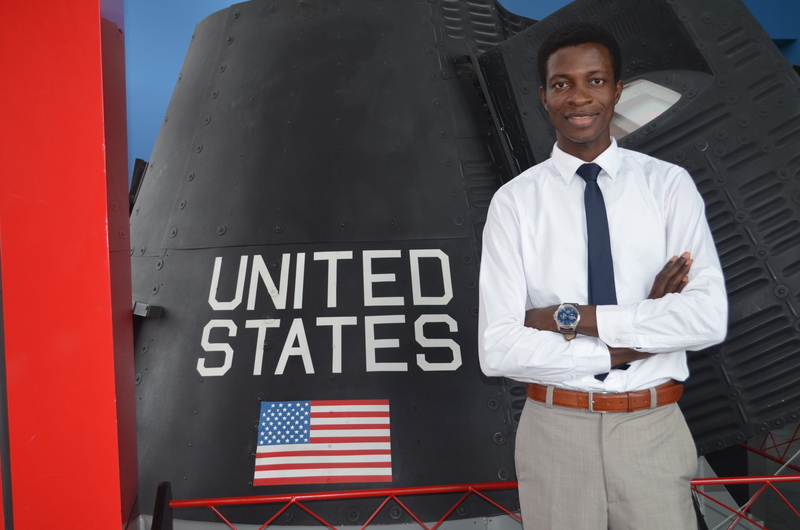 The milestone in acquiring the necessary skills and exposure in the industry is my participation last year in the Mandela Washington Fellowship for Young African Leaders Initiative (YALI) which gave me the unique opportunity to have a Professional Development Experience at the NASA Marshall Space Flight Center in Alabama. I learnt a lot from the Center on geospatial technology and disaster risk management. I am still learning and getting support from the PDE network following my occasional contact with the amazing Space Flight Center team and my wonderful colleagues there. Also during my fellowship in Phoenix, I got the opportunity to visit the School of Earth and Space Exploration (SESE) of the Arizona State University (ASU) where I saw pieces of the Moon, Mars Exploration Rovers and more. I met and personally exchanged ideas on exciting subjects with a personnel of the NASA/ASU Space Grant Program. For example travels to the Moon. All those opportunities has deeply and positively affected my passion for the space-related industry. Can you explain your vision for AGIA and how the company started? AGIA is an aerospace corporate created to deal with the critical and the most pressing challenges in Africa. From agriculture, defense, to natural resources management, public health, from weather forecasting to disaster response and more, we are committed to saving lives, improving livelihoods and climate resilience across Africa. We are dedicated to empower communities and offer a better life to everyone on the continent. In fact we want to make geospatial technology relevant to everyone in Africa. Our grandfathers were the first scientists in the World during the Nile Civilization. They were able to observe the sky to predict rain, they can see the morning dawn to determine whether it is going to be a sunny day or not, the can observe the movement of specific birds to track seasons. They observed the humus to predict soil moisture and soil nutrients. By using those information for decision-making in their everyday lives, they were able to develop a prosperous agriculture, protect their harvests, schedule their travels and displacements, build strong houses, towers and even pyramids that resisted to the time, plan the arrival of newborns and many other events and activities in their society. Now that climate change is knocking down the order in the nature, breaking the rules that helped our grandfathers predict the future, our role as scientists of nowadays is to find new ways to still provide the information and tools that people need to secure their life. At AGIA, we found the answer in geospatial technology and big data. Our century is marked by the mobility but also the development of multi-petabyte catalog of satellite imagery and geospatial datasets with planetary-scale analysis capabilities that are made available. AGIA wants to take this opportunity to bring back a prosperous agriculture and food security on the continent, improve public health, insure security for people and their properties, predict flood and drought, manage natural resources and in some ways “Connect Villages to Space” as we use to say when I was at NASA Marshall Space Flight Center. Richard Komlan Folly with young girls after a workshop on planetary science. October 2018. What projects or solutions are currently being developed by AGIA? AGIA is working on a soil sampling tool combined with a long-term weather forecasting that can be used by farmers and their partners; insurance companies and banks, disaster management practitioners and the many other sectors of activities that depend on weather and climate data including recreation, culture, transportation, public health, maritime intelligence, and local businesses. We are passionate about satellites. So we are working to build and send a first one into space. The AGIA AfricaX satellite project aims to help for agriculture and environment monitoring in Sub-Saharan Africa, and to collect data on the coastal erosion that hugely affects the West African countries in the Guinea Gulf. The problem is more likely important in Togo with considerable socio-economic impacts. The dynamics of erosion and the accumulation on the coast are mainly related to the presence of the Autonomous Port of Lomé, in deep water, and whose activities recondition the ocean currents, their circulations, the waves, the flows of sediments. Togo has already lost two roads in the ocean due to the coastal erosion, with considerable loss of arable lands and economic activities, significant displacement of populations and more. For example, the data that will be collected by the AGIA AfricaX satellite can be of benefit to governments and organizations working on the erosion challenges in the West African region. Has AGIA raised any investment, corporate grant or generated any revenue? How many workers are employed by AGIA? We are running activities using what we call in business “love money”. It means money from our own pockets, family and friends. We are working on projects with some institutions. The last in date is our collaboration with the Deutsche Gesellschaft für Internationale Zusammenarbeit GmbH (GIZ) and the Ministry of Agriculture in Togo, which we are helping collect and analyze data and produce maps of agricultural structures across the whole country. Five persons are currently working to bring the company to the next level. So we are calling on any collaboration, space-related grants, investors that are too confident to believe that five African boys can actually send a private satellite into space. Where do you see AGIA in the next ten years and how do you intend to get there? In the next ten years to come, AGIA will create five to ten thousands jobs in Africa to open the continent to the growing market of aerospace. We want to inspire the creation of many other companies within the sub-sector to make Africa the next destination of space business angels. Indeed the legacy we want to leave for the next generation is to encourage space and geospatial entrepreneurship in Africa through AGIA. What is your recommendation for the government of Togo on how to leverage space technologies in solving the nation’s pressing challenges? The government is gradually waking up to the realities of investing in space science and technology. But there still many challenges and barriers to overcome. I encourage the pursuit of those efforts. I recommend the government of Togo to create i) a National Council on Space and ii) a Digital Entrepreneurship Fund to support private sector involvement in space-related activities. We should not leave Togo behind at the actual time that space and geospatial technologies are trending. Experts in the field express their unanimity on the fact that geospatial information has particularly the potential to offer a better life without leaving any one behind, the power to unlock ecosystems, economics, entrepreneurship. 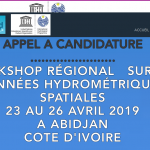 I think also it will be a great benefit to the country if Togo starts implementing the Integrated Geospatial Information Framework, a strong strategic guide to develop and strengthen national geospatial information management from the United Nations Committee of Experts on Global Geospatial Information Management (UN-GGIM). Government should understand that advancing space technologies in Togo will help solve our biggest and pressing challenges in creating new jobs, developing agriculture, managing disaster response, public health, strengthen national defense and security and more.